Designing residential remodel and color consultation with extensive experience of improving individuals dwellings and work places. For 20 years, I have collaborated with clients to design beautiful, comfortable, and timeless homes that reflect their personal style. I believe that a real collaboration between homeowner and designer will result in the creation of personal, unique interiors that will offer comfort and enjoyment for many years. What I strive to help my clients create is a home that will stand up to the everyday use of a busy lifestyle and they will enjoy returning to each and every day. The service I provide is exceptional, with keen attention to detail, and excellent follow-up. I work to give clients the freedom to enjoy the creative process while I focus on each step of the project. 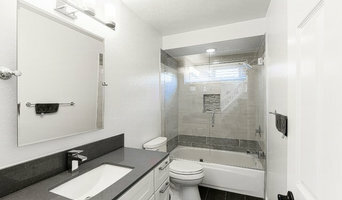 Good design is an option in any budget and I help clients to make informed decisions about their home. I respect their investment and work to create rooms that will add long-term value to their home and their lives. I offer creative, cost-effective designs, and expert product knowledge that will make their investment, whether it is home furnishings or a new kitchen, enjoyable for many years. I find that working with homeowners who seek thoughtful design, attention to detail, and a personalized home a joyful creative process! I look forward to the opportunity to speak with you about your project goals. Residential and commercial remodeling contractor serving the San Mateo Co peninsula. We have been in business for over 15 years. For over thirty years the goal at Chateau Construction has been to provide an environment where our clients, design professionals, subcontractors and employees work harmoniously together to create a finished home that exceeds all expectations. Whether we are remodeling a single bathroom or managing the complete scope of a complicated hillside estate, our aim - to achieve complete client satisfaction - remains the same. General contractor and principal owner, Dan Bainbridge, is a native of Silicon Valley, graduate of San Jose State University, and resident of the Town of Los Gatos since 1956. His team of employees consists of the finest of tradesmen, many of whom have been with the company for over two decades. Dan's affiliation with local top tier subcontractors stretches back more than 20 years. By fostering long-term relationships within our group of specialists, Chateau Construction has set the highest standard for consistent quality and client satisfaction. Additionally, in keeping with environmental responsibility, the company is a certified Green Builder and continues to remain current with the changing practices of the industry. As a professional Design Strategist, Royer Design is an award-winning and highly sought after firm to oversee the entire vision of your home, from the interior to the exterior and landscape, while providing your family with a home that is uniquely yours. This cohesive approach to design is what distinguishes Royer Design from all the rest. With more than 17 years of experience in interior design, space planning, and full home remodeling, each project is lead by Principal Owner, Stan Royer who brings years of industry experience and creativity admired by homeowners throughout San Jose. The Gridley Company differs in many ways from the typical remodeling firm. We believe, as do our clients, that our distinctiveness makes us better—and our reputation confirms that belief. A woman-owned business is rare in today’s remodeling industry, but the idea was virtually unheard of in 1976, when our founder, Linda Gridley, set out to create a company that would offer homeowners both a better home improvement experience and a great project. Over the years, hundreds and hundreds of homeowners have experienced the Gridley Difference—and with repeat and referral clients constituting about 80% of our business, we think it’s working. Our staff is second to none and works together as a cohesive team to move your project from concept to completion smoothly and with attention to detail. They know your project represents a life change for you, and that your house is not merely a job site, but your home. Our company and staff are committed to delivering the home of your dreams and making that experience as enjoyable, easy and stress-free as possible for you. Ultimate Kitchen and Bath is the Bay Area's premier kitchen and bath design center and showroom. We feature products from top U.S. manufacturers. Our showroom houses a complete selection of styles to suit a wide range of tastes and decor. Whether your preference is traditional, transitional, country or modern we can show you representative kitchens and baths to match. If you are not sure what is right for your home or simply want to browse, our in-house designer and contractor are available to guide you and help you discover your unique style. We have decades of experience in all types of homes. We know how to transform your kitchen or bath from basic to inspiring. Stop by our showroom anytime to explore the possibilities. 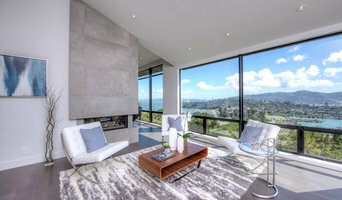 Adventures in Production is a high-end residential General Contracting firm serving the San Francisco and Marin County areas for over 20 years. 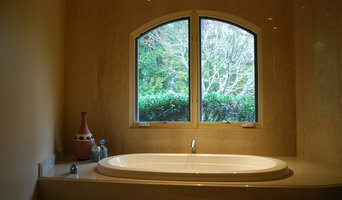 We are Marin County's leading general contractors specializing in Remodels, Kitchens and Bathrooms. We are a family owned business that prides itself on our attention to detail and emphasizes reliability, & high quality workmanship. We fully understand that everyone has diverse styles and our devoted staff members will make sure all your specific needs are met. Whether you are following the latest trends or setting them, our creative team will help showcase your personal style and bring all your imaginative ideas to life. We are a result-driven company that uses budget-conscious techniques which ultimately should make us your first choice for all your home-improvement needs. Adventures In Production prides itself on customer service. We work closely with our clients to ensure 100% satisfaction. 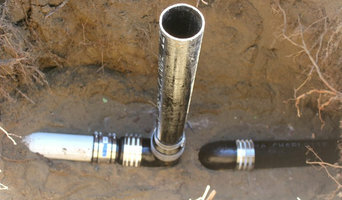 We give free estimates and guarantee all work performed.